← Time to pony up! If a tree falls in the forest and nobody is around, does it make a sound? I have been bowed over in anguish over a job lost; I have placed my hands over my face and head, elbows to my knees gasping for breath; I have barricaded myself behind closed doors. So, I have often wondered, does a job lost make a sound? I would have to agree. Neither seen nor heard, you’re on your own. I have experienced both, the latter being much more traumatic, although both are deeply disturbing, I would have to say the tree was less personal and the lesser of two evils. Symbolic in a fashion, like our government, the tree had been leaning. It’s weight no longer sustainable, it roots no longer able to bear its growth. 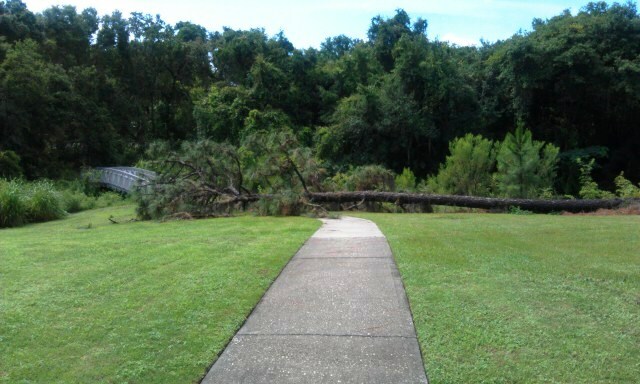 I was deeply affected by the sight of the fallen tree in its magnitude. It’s beauty and majesty held me in awe. I often crossed it’s path, never imagining it’s demise. Falling across a sidewalk, in a city park, the tree was swept away in a day; a series of sawing, grinding and chipping away. At times the noise was deafening. And then it was gone. I, too, had moved on. Picked myself back up. Started a new venture. Today I am rooted strongly, my business supported by faith, family and my business. Supported by partners, fellow employees, suppliers and customers. How fortunate for me, I am not a tree.